On this episode, the students introduces themselves. Later, Aqua confronts Momonga. I’m really liking this cross parody series. It was funny to see how the main characters introduces themselves and along with their supporting characters. 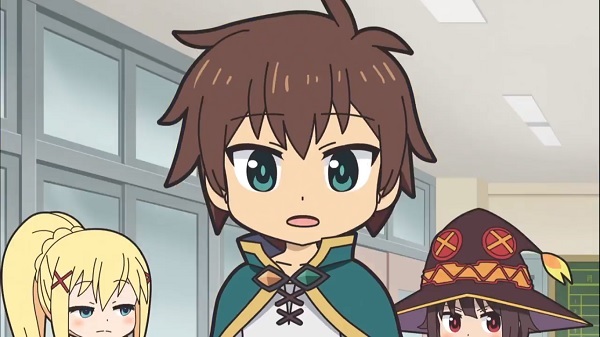 Also, if I think deeper, Kazuma (and his party) from a parody anime in another parody anime is mind blowing. Other than that, I wonder how if there will be villains showing up soon. Now what’s going to be the next plot? Overall, funny character introductions and some battle action.